How do we survive the dark long winters in Alaska? By celebrating them, of course! December 21st is the Winter Solstice, the shortest, darkest day of the year. 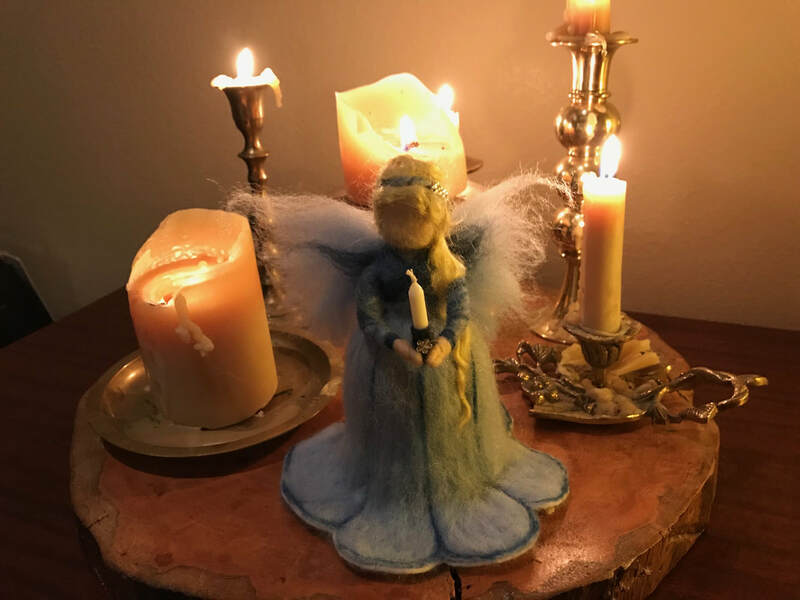 What better way to celebrate than to come and needle felt an Angel to light up your winter! The Angel we’re making can either be hung, freestanding or made to top your Christmas tree.